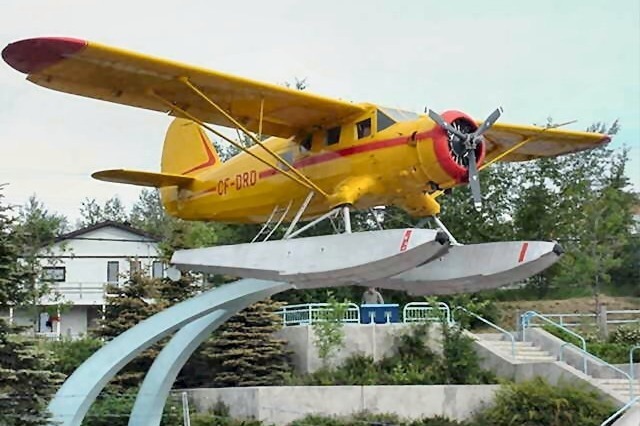 The Norseman Festival Committee and The Hwy 105 Tourism & Marketing Board (formerly the Red Lake Publicity Board) have joined together to start a campaign to save Red Lake's aviation monument: CF-DRD. On July 31, 2017, a severe hailstorm went through Red Lake and caused severe damage to homes, vehicles and aircraft. The monument, which has been Red Lake’s bright yellow icon on a huge pedestal for decades, is covered in fabric. The aircraft looks overlooks Howey Bay on Red Lake at the Norseman Heritage Park. The hail created holes throughout the body and wings of DRD severe enough to pierce through the tough fabric. As a result, any moisture caused by rain or melting snow will rot the interior and eventually, the entire structure will literally fall apart. Floatplane flying has played a key role in the community's development. The Norseman aircraft was one of the pioneering aircraft to open the region to the population during the gold rush. The monument was built from the frame of a Norseman aircraft that had flown in Red Lake. It was restored to "almost flying condition and put on a pedestal in the park in the town, which is known as the Norseman Capital of the World. Urgent action is needed to Save DRD. The monument needs to be removed and re-covered as soon as possible in order to ensure the integrity of the monument and the safety of the public. 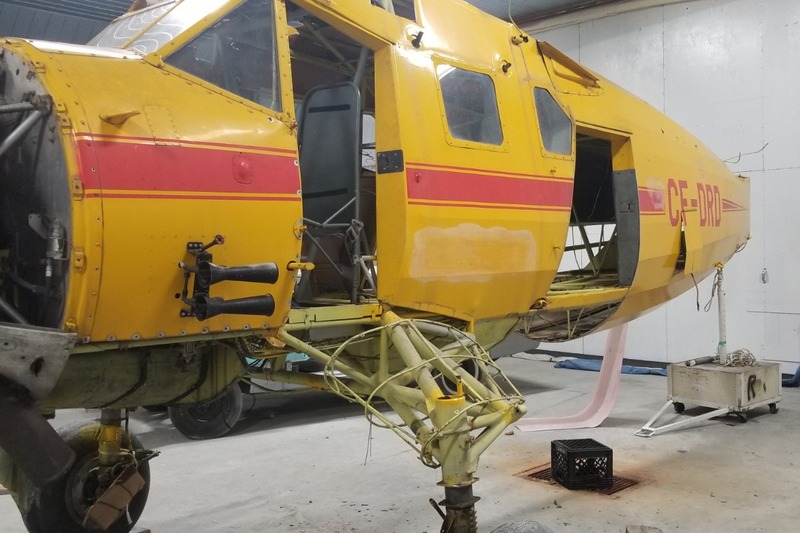 A crane will be needed to lift DRD down before the ice is out this Spring, the wings will need to be taken off, and she will need to be transported to a very large shelter where the maintenance can be done. The airplane mount will be without DRD for quite some time. 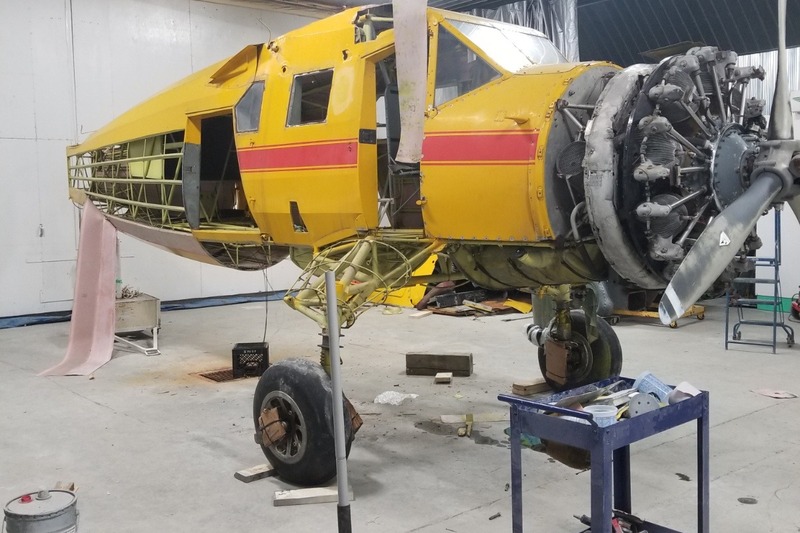 Fortunately there is some insurance coverage that the Municipality of Red Lake has claimed; however, initial quotes for restoration of the aircraft have come in at over twice the approved claim leaving us short thousands and thousands of dollars. 2) Volunteers to participate in fundraising/organizations to fundraise for the cause/ financial contributions. 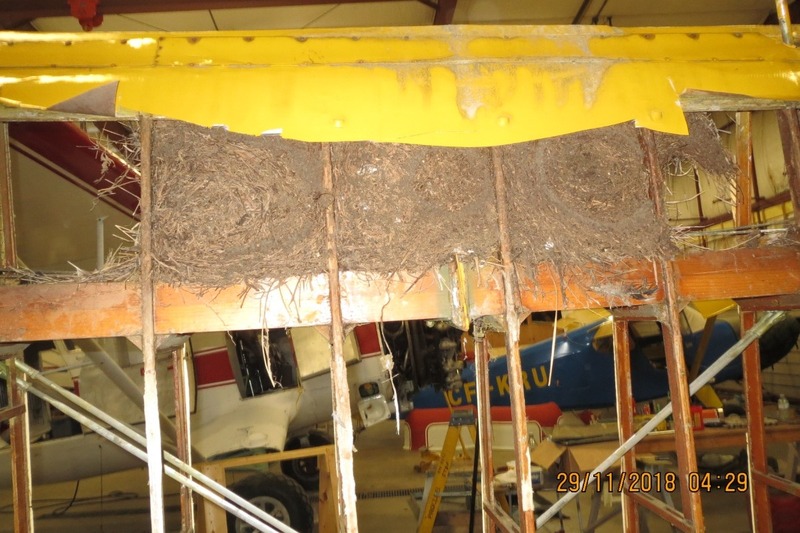 3) Volunteers to help with the actual restoration process. 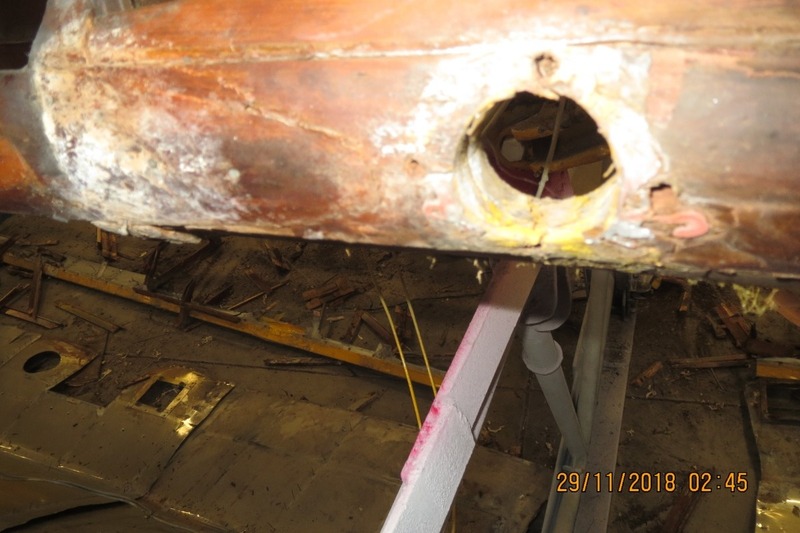 More pics of the work being done on the fuselage of DRD this week. Now here is something real special!!! A fellow named Dan Wilch was kind enough to share this photo he has of DRD from the 1950's! Dan collects, buys and sells 35mm slides for fun. Yesterday he came across a very interesting photo. 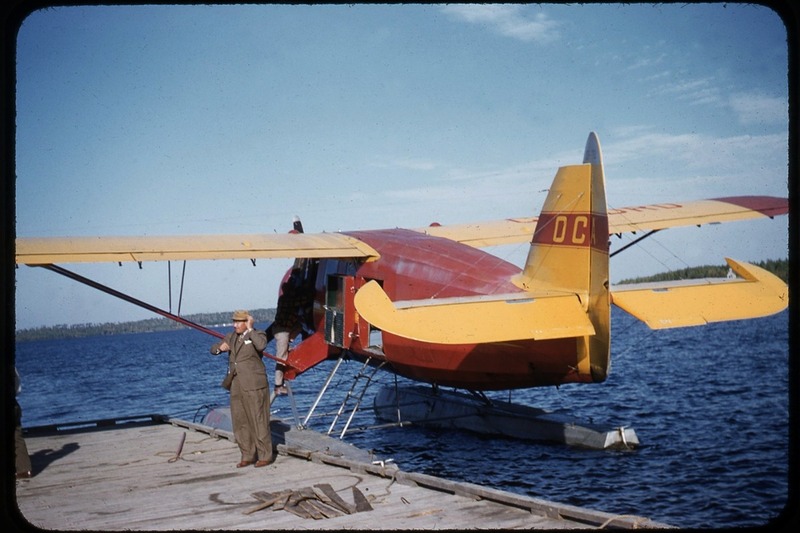 It is the Norseman CF-DRD of Ontario Central Airlines in 1954. "When I searched it I found your website (norsemanfestival.on.ca) and the great history and pride of Red Lake this plane carries. Throughout my search I found no photos online of this plane during the first OCA ownership from 1953-1958. I thought you would be interested in seeing this plane in its first color scheme in the 1950's. All my searches led to photos after 1968 when they purchased it the second time. 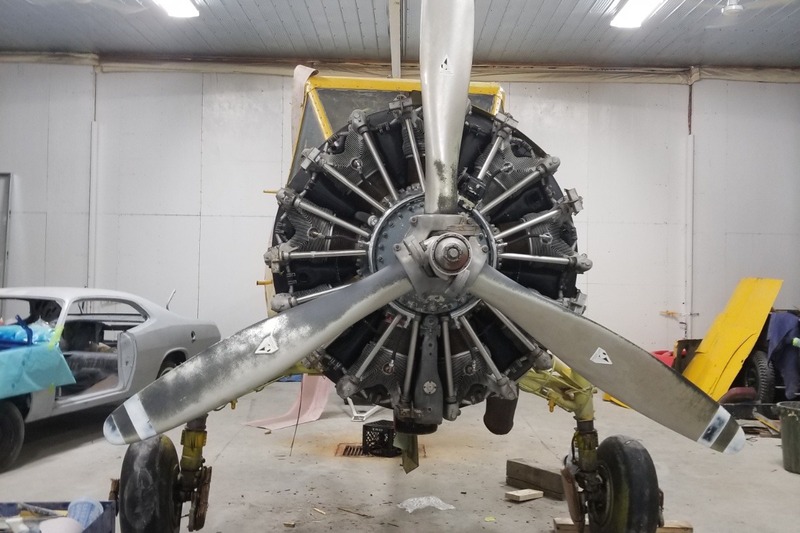 I was reading the plane went into a second restoration from hail damage and was wondering if she is completed and back up on the pedestal. Hope you enjoy it as much as I did reading your website"
Video of DRD stripped down, getting cleaned up. Wait til you see the top of the fuselage from the inside now that the interior panels have been removed!! WOW! Thanks for taking the video Sachin Surendran. 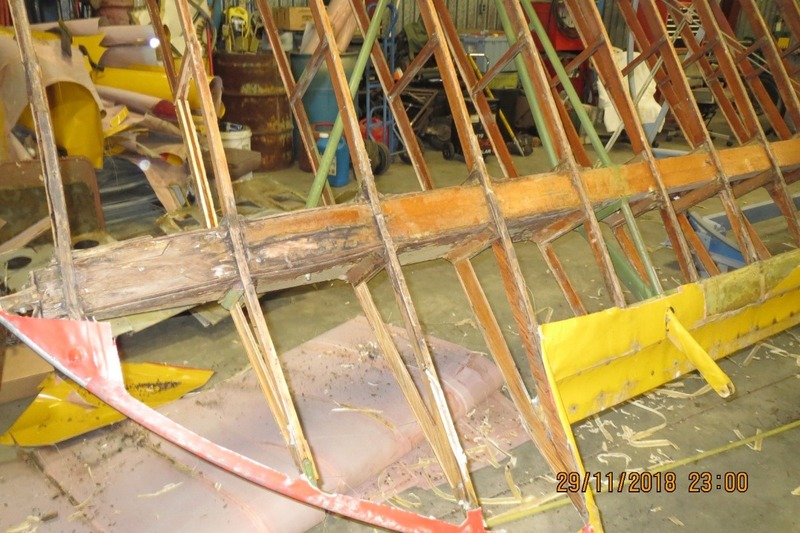 Well it turns out that the wings are in worse shape than anticipated and the wood is in pretty bad shape. Among other things, the birds were able to get in there and do some pretty good damage. Gord Hughes is working on a plan to get them back in shape.